The following lists events that happened during 1979 in Australia . 1979 (MCMLXXIX) was a common year starting on Monday of the Gregorian calendar, the 1979th year of the Common Era (CE) and Anno Domini (AD) designations, the 979th year of the 2nd millennium, the 79th year of the 20th century, and the 10th and last year of the 1970s decade. 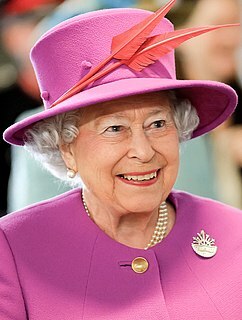 The Governor-General of the Commonwealth of Australia is the representative of the Australian monarch, currently Queen Elizabeth II. 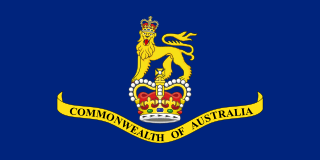 As the Queen is shared equally with the 15 other Commonwealth realms, and resides in the United Kingdom, she, on the advice of her prime minister, appoints a governor-general to carry out constitutional duties within the Commonwealth of Australia. The governor-general has formal presidency over the Federal Executive Council and is commander-in-chief of the Australian Defence Force. The functions of the governor-general include appointing ministers, judges, and ambassadors; giving royal assent to legislation passed by parliament; issuing writs for election; and bestowing Australian honours. Sir Zelman Cowen, was an Australian legal scholar and university administrator who served as the 19th Governor-General of Australia, in office from 1977 to 1982. The Leader of the Opposition in South Australia is the leader of the largest minority political party or coalition of parties, known as the Opposition, in the House of Assembly of the Parliament of South Australia. By convention, he or she is generally a member of the House of Assembly. He or she acts as the public face of the opposition, and act as a chief critic of the government and ultimately attempt to portray the opposition as a feasible alternate government. They are also given certain additional rights under parliamentary standing orders, such as extended time limits for speeches. Should the opposition win an election, the Leader of the Opposition will be nominated to become the Premier of South Australia. Dr David Oliver Tonkin AO was the 38th Premier of South Australia, serving from 18 September 1979 to 10 November 1982. He was elected to the House of Assembly seat of Bragg at the 1970 election, serving until 1983. He became the leader of the South Australian Division of the Liberal Party of Australia in 1975, replacing Bruce Eastick. Initially leading the party to defeat at the 1977 election against the Don Dunstan Labor government, his party won the 1979 election against the Des Corcoran Labor government. Following the 1980 Norwood by-election the Tonkin government was reduced to a one-seat majority. His government's policy approach combined economic conservatism with social progressivism. The Tonkin Liberal government was defeated after one term at the 1982 election by Labor led by John Bannon. James Desmond Corcoran AO was an Australian politician, representing the South Australian Branch of the Australian Labor Party. He was the 37th Premier of South Australia, serving between 15 February 1979 and 18 September 1979. He also served as the 1st Deputy Premier of South Australia in 1968 and again from 1970 to 1979. The Leader of the Opposition in Tasmania is the title of the leader of the largest minority party in the state lower house, the Tasmanian House of Assembly. He or she acts as the public face of the opposition, leads the opposition on the floor of parliament. They thus act as a chief critic of the government and ultimately attempt to portray the opposition as a feasible alternate government. They are also given certain additional rights under parliamentary standing orders, such as extended time limits for speeches. Should the opposition win an election, the Leader of the Opposition will usually be nominated to become the Premier of Tasmania. Sir Eardley Max Bingham QC, known as Max Bingham, is a former Deputy Premier and Opposition Leader of Tasmania, who represented the electorate of Denison for the Liberal Party in the Tasmanian House of Assembly from 1969 to 1984. Geoffrey Alan "Geoff" Pearsall is a former Australian politician. A member of the Liberal Party, he served as a member of the Tasmanian House of Assembly from 1969 until 1988 and as Leader of the Opposition (1979–1981). Robin Gray succeeded him in the latter role. The Premier of New South Wales is the head of government in the state of New South Wales, Australia. The Government of New South Wales follows the Westminster system, with a Parliament of New South Wales acting as the legislature. The Premier is appointed by the Governor of New South Wales, and by modern convention holds office by virtue of his or her ability to command the support of a majority of members of the lower house of Parliament, the Legislative Assembly. Neville Kenneth Wran, was an Australian politician who was the Premier of New South Wales from 1976 to 1986. He was the national president of the Australian Labor Party (ALP) from 1980 to 1986 and chairman of both the Lionel Murphy Foundation and the Commonwealth Scientific and Industrial Research Organisation (CSIRO) from 1986 to 1991. The Leader of the Opposition is a title held by the leader of the second-largest party in the New South Wales Legislative Assembly, the lower house of the Parliament of New South Wales. There is also a Leader of the Opposition in the Legislative Council. He or she acts as the public face of the opposition, leading the opposition on the floor of parliament. They act as a chief critic of the government and ultimately attempt to portray the opposition as a feasible alternate government. They are also given certain additional rights under parliamentary standing orders, such as extended time limits for speeches. The Governor of Queensland is the representative in the state of Queensland of the Queen of Australia. In an analogous way to the Governor-General of Australia at the national level, the Governor performs constitutional and ceremonial functions at the state level. In particular the governor has the power to appoint and dismiss the Premier of Queensland and all other ministers in the cabinet, and issue writs for the election of the state parliament. Commodore Sir James Maxwell Ramsay, was a senior officer in the Royal Australian Navy and the 20th Governor of Queensland, serving from 22 April 1977 until 21 July 1985. 4 January - Australia's highest daily rainfall, 1,140 mm., is recorded at Bellenden Ker station, Queensland. 9 January - Deputy Prime Minister Doug Anthony signs a pact to allow uranium mining to begin at the Ranger Uranium Mine in the Northern Territory. The pact gives the authority to develop the 100,000 tonne deposit to the Australia Atomic Energy Commission, Peko Wallsend and the Electrolytic Zinc Company for a period of 21 years. 9 February - Associated Securities Limited, Australia's fourth-largest finance company, is placed into receivership. In a statement to the stock exchange, ASL directors state that the results for the six months to 31 December had shown a loss of $2.5 million, plus an extraordinary loss of $1 million from foreign exchange movements. 12 February - Harry M. Miller's Computicket theatre and sporting booking agency collapses. 9 March - The Arbitration Commission awards Australian women the right to six weeks' compulsory unpaid maternity leave with the option of extending the leave to one year. The provisions, which will flow to all awards covering women in the private sector, will take effect on 2 April. 4 April - Domico Speranza hijacks a Pan-Am plane at Sydney Airport for 4 1/2 hours until shot dead by police. 11 April - A truck drivers' blockade, which had disrupted the eastern states for 10 days, ends. The truck drivers had been protesting against state road taxes and low cartage rates. 25 May - James William Miller, aged 39, is charged with the murders of four young women (the Truro murders 100 kilometres north-east of Adelaide. A fifth body has been found and police are searching for two more bodies, bringing the number of victims to a total of seven. Miller is charged with murdering Veronica Knight, 18, Sylvia Michelle Pittmann, 16, Vicki May Mowell, 26, and Connie Iordanides, 16. 8 June - Philip Silleny attempts to hijack a TAA aircraft near Brisbane but is disarmed by hostess Esme Qazim and other crew. A fire at Luna Park Sydney kills 7. Four young boys, a father and his two young sons die when the fire, believed to be caused by an electrical fault, engulf the ride. The park is forced to close. Australia's first modern uranium mine opens at Nabarlek in Arnhem Land. A $25,000 party is held to celebrate the launch of the mine, which is also the first to open on Aboriginal tribal land. 21 June - Up to a million workers stop work across the country to protest the arrest of unionists in Western Australia for addressing a public meeting without police permission. Public transport, industry and commercial services are thrown into disarray. 23 June - New South Wales Premier Neville Wran opens the Eastern Suburbs six-station railway line which runs from Sydney city to Bondi Junction. The railway line has been a source of continuing controversy since work on it began. In 1976, Neville Wran referred to the project as probably "the most monumental financial scandal" in the state's history. Commonwealth death duties are abolished. Responsibility for education in the Northern Territory is transferred from the Federal to the Northern Territory Government. 11 July – The American space station Skylab crashes in Esperance, Western Australia. 19 July – The Miss Universe final is celebrated in Perth. 24 July - 14 coal miners die in a lethal gas explosion at Appin Colliery, New South Wales. 29 August - Sydney's new heliport at Darling Harbour is officially opened. 30 August - Six die when a Cessna 206 plane crashes at Shepparton, Victoria. 22 September - The standing conference of Canonical Orthodox churches in Australia is established. 26 September - New South Wales Attorney-General Frank Walker tables the 960-page Finnane Report in State Parliament. The New South Wales Government gags Opposition calls for a debate report only 30 minutes after it is tabled. 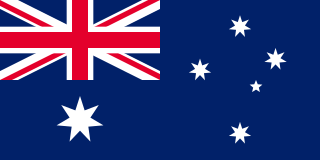 Australia announces the abolition of traditional trade preferences with Britain. Ian Sinclair resigns as Federal Primary Industry Minister following allegations that he forged his father's signature on his family's annual returns. According to the Finnane Report tabled in State Parliament, Ian Sinclair was dishonest in arranging loans from a group of companies of which he was "de facto managing director" to the family pastoral company. Mr. Sinclair had denied the allegations the day before. 7 October - The Australia Refugee Advisory Council is established. 14 October - Australian Council of Trade Unions (ACTU) President Bob Hawke wins preselection for the safe ALP federal seat of Wills, making way for him to enter federal politics next year. Mr. Hawke defeated the Socialist Left candidate Gerry Hand winning 38 votes from the 70-member selection panel. 19 October – The Australian Federal Police is established under the command of Colin Woods. 20 October - Prime Minister Malcolm Fraser proclaims the first section of the Great Barrier Reef (the Capricornia section) a national park, making it the third Australian national park to be declared this year. Malcolm Fraser also announces the allocation of $300,000 to research projects to be set up in the region to increase the Federal Government's knowledge of this area. 5 November - The first New South Wales Lotto draw takes place. No-one chose the six winning numbers in the draw, so only half of the first prize - $193,576- will be divided among the five members of the In the Money syndicate. 6 November - The Royal Commission into Drug Trafficking (Woodward Royal Commission) reports to the New South Wales Parliament, recommending increased penalties and no concessions for soft drugs. 30 November - The Australian Council of Trade Unions (ACTU), at a meeting of 24 major unions, rejects proposals to block the mining export of uranium. 16 December - Sunday trading in Sydney public bars begins. 27 February – Prisoner makes its debut on the 0–10 Network. 14 January – Tasmania beats Western Australia by 47 runs to win their first Gillette Cup title. 25 March – Australia is represented by nine long-distance runners (all men), including Robert de Castella, at the seventh IAAF World Cross Country Championships in Limerick, Ireland. Steve Austin is Australia's best finisher, claiming the 29th spot (38:36.0) in the race over 12 kilometres. 28 April – Collingwood beat a sixty-year-old record for the greatest VFL winning margin when they demoralise St Kilda by 178 points, beating South Melbourne’s 171-point margin also against St Kilda, from 1919. 28 July – Fitzroy set a still-standing record winning margin when they beat Melbourne by 190 points at VFL Park. Their score of 36.22 (238) was a record until 1992. 12 August – Robert de Castella wins the men's national marathon title, clocking 2:13:23 in Perth. 29 September Carlton Football Club wins the 1979 VFL Grand Final over Collingwood. 13 January- Jason Harris, a great mate, lover of anything fast and the second best 4wder Amy ever met! The following lists events that happened during 1983 in Australia. The following lists events that happened during 1988 in Australia. The following lists events that happened during 1984 in Australia. The following lists events that happened during 1982 in Australia. The following lists events that happened during 1986 in Australia. The following lists events that happened during 1966 in Australia. The following lists events that happened during 1969 in Australia. The following lists events that happened during 1970 in Australia. The following lists events that happened during 1981 in Australia. The following lists events that happened during 1985 in Australia. The following lists events that happened during 1980 in Australia. The following lists events that happened during 1972 in Australia. The following lists events that happened during 1971 in Australia. The following lists events that happened during 1973 in Australia. The following lists events that happened during 1974 in Australia. The following lists events that happened during 1978 in Australia. The following lists events that happened during 1976 in Australia. The following lists events that happened during 1926 in Australia. The following lists events that happened during 1975 in Australia.